When you’ve been in the event production and design business as long as we have at Track Seven Events, you come know that the success of an event comes down to one basic principle: guest interaction. So, how do we succeed at awesome guest interaction at our events? First of all, the content of the event is up to our clients – after all, it is their event. However, we boost guest interaction at every single event that we design and produce by creating the perfect atmosphere. The right atmosphere at a special event will allow guests to feel connected and engaged. This is true for every type of special event from weddings and bar mitzvahs to corporate events and product launches. When we create the right atmosphere for your event, you and your guests will feel relaxed, making it easy to interact and take in the event’s proceedings. There’s no one thing that we do to create the ideal atmosphere; it is actually the amalgamation of lots of different things like careful planning, creativity, skilled prop builders, and streamlined coordination. 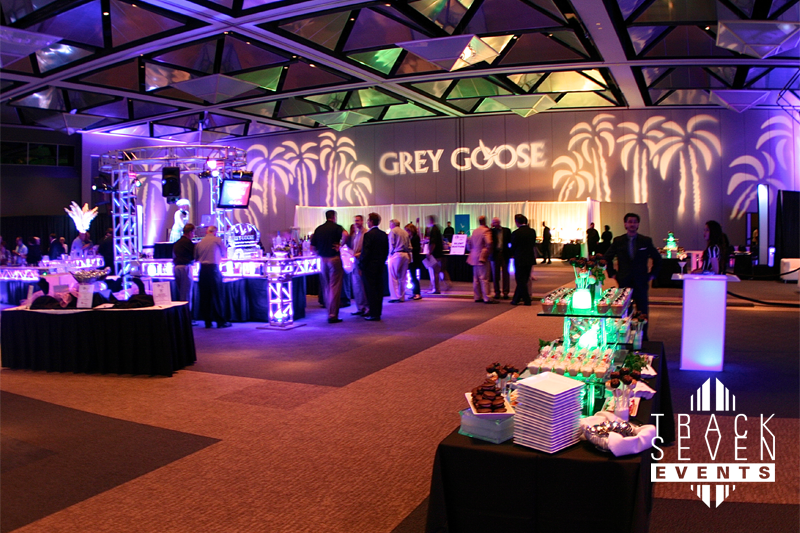 One factor that plays a large part in setting the tone of an event is the event space itself. Ideally, guests should be able to engage in quality conversation and move around comfortably. There’s nothing worse than being cramped, crowded, and unable to interact. This is why we work with our clients closely – to help find the perfect venue or event space, incorporate the client’s preferred theme into the design of that space, and create the perfect event experience!